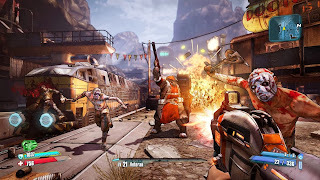 Borderlands 2 for PS Vita: Coming in March? Can it be that Borderlands 2 is on its way to US shelves in just 3 months? A recent post by Newegg has us hoping to grab some loot on the Vita on March 18th. This is just speculation, of course, but it could be a big hit for Vita owners. I've already played it on the big screen, but I wouldn't mind delving into the Vita version. What do you think? Let us know below if you're looking forward to playing this on the Vita.